Dr. Zhongzhou Chen focused on the structures and function of agricultural important proteins, such as Plant hormone receptors ABA receptors. Several structures of proteins and protein complexes were solved and the functions were elucidated. Several enzymatic activity, type of domains and binding modes were uncovered. The specific substrate binding mechanisms were proposed and verified. Several new mechanisms of regulation and recognition were identified. The reasons of mental retardation, cancers and functional loss caused by their mutation were explored. Moreover, Dr. Chen also developed novel methods to improve the quality of protein crystals with the help of the collaborators. 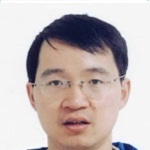 As a corresponding author or a co-corresponding author, Dr. Chen published 16 papers in past five years on journal such as Genes & Development, Nature Communications (2 papers), Cell Research, PNAS, and so on. The accumulated impact factor is 103.3. For all of my publications, the total number of times cited by other publications is 770. ​Dr. Chen would focus on the regulatory mechanism of important protein complexes, explore the selective recognition of substrates and catalytic mechanism on the structural basis of these important proteins, and uncover the molecular mechanism of regulation, and lay a solid foundation for drug design against diseases, treatment of diseases such as cancers, and agricultural applications.